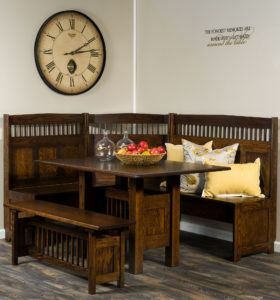 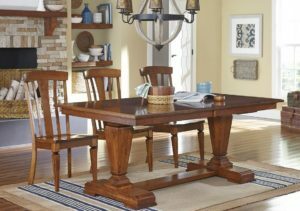 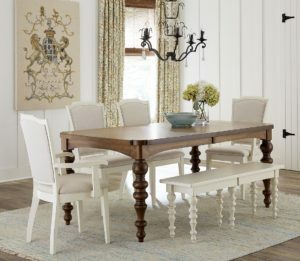 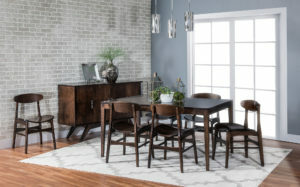 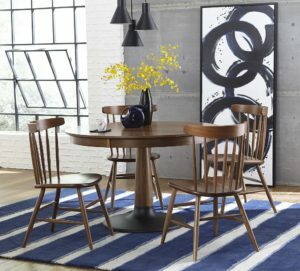 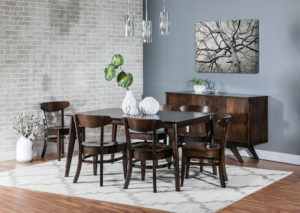 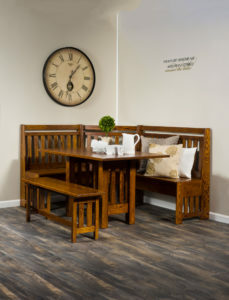 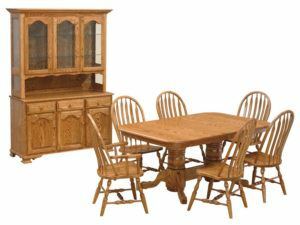 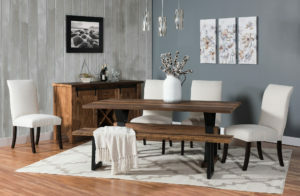 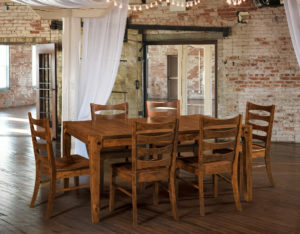 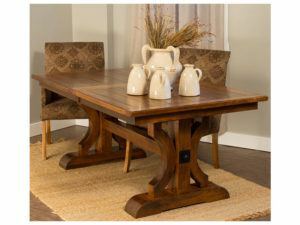 Whether you’re looking for something classic or modern, rustic or elegant, traditional or one-of-a-kind, you’ll find the perfect dining table sets at Brandenberry Amish Furniture. 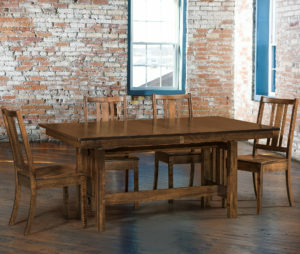 And Amish artisans custom-craft every piece of furniture using solid hardwoods. 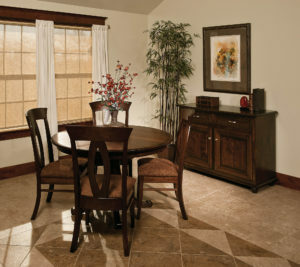 So you’re assured superior design, quality, durability and value. 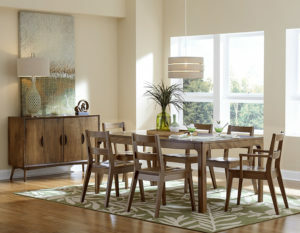 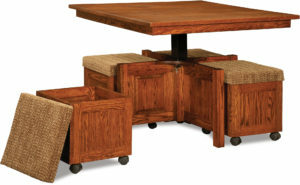 The Ensenada Dining Set features a unique storage drawer in the base. 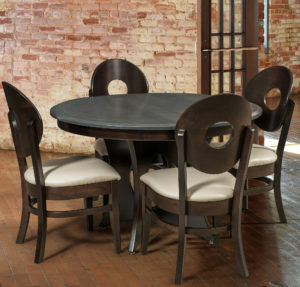 The Oval Carlisle Dining Set possesses a warmth and authenticity that comes from the finest hand construction. 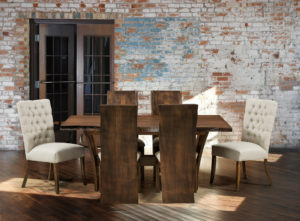 Modern design and timeless construction meet in the Royal Mission Dining Set. 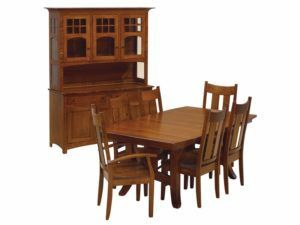 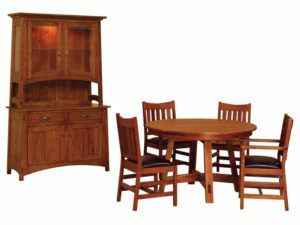 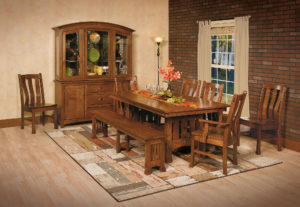 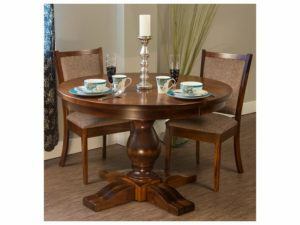 The Salem Dining Set features a rich finish and fine Amish craftsmanship. 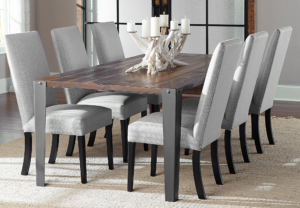 A simple, elegant style highlight the Shelby Dining Set. 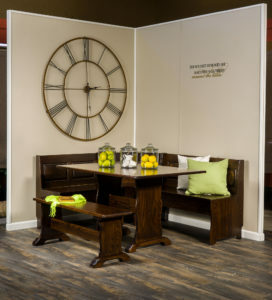 The beautiful Trestle Mission Dining Set features modern accents. 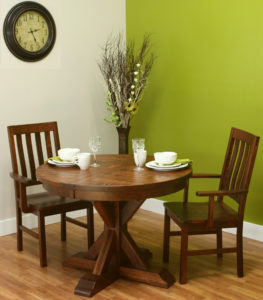 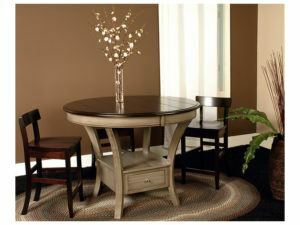 A rich wood finish accents the Wasilla Dining Set. 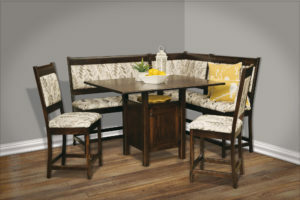 The Wilmington Dining Set boasts elegant construction and a timeless style. 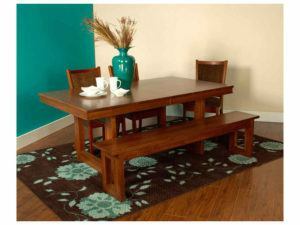 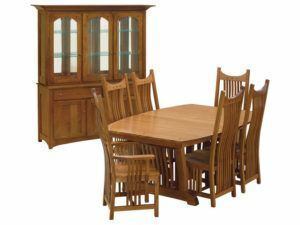 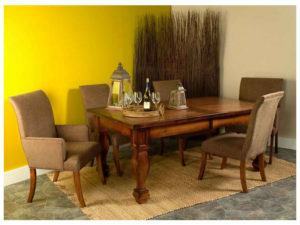 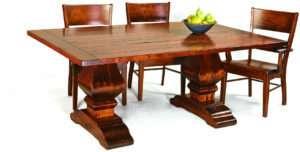 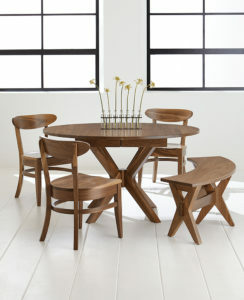 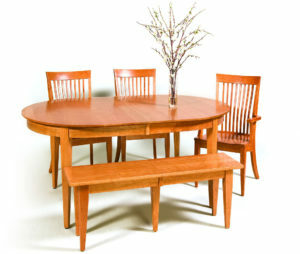 Our dining table sets typically comprise the table, four to six chairs and a dining hutch. 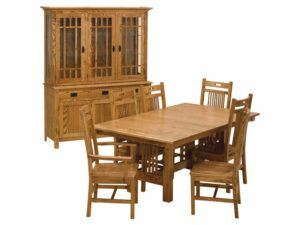 Sometimes the dining table collections include a leaf-storage cabinet, china cabinet or sideboard. 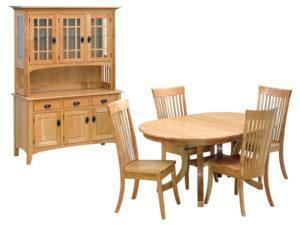 Everything’s built by Amish cabinetmakers using solid hardwoods like cherry, oak and maple. 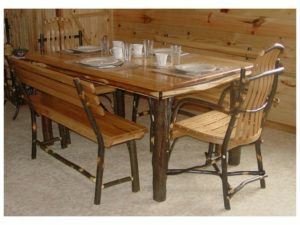 So, with proper care, you can count on each piece to stand up to daily usage for decades to come. 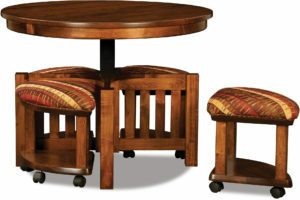 Also, as you can see, we offer many designs to choose from. 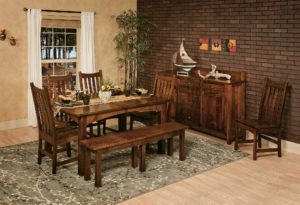 So you’re sure to find the dining set that fits your tastes, décor and space requirements. 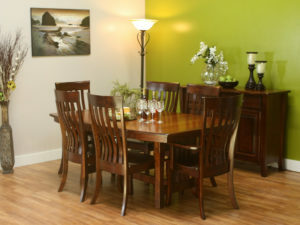 What’s more, you get to choose your desired wood specie and finish. 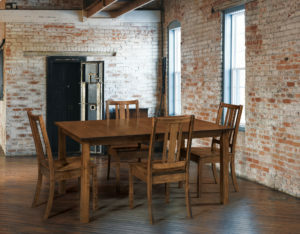 You even get to select special features, making the furniture from Brandenberry uniquely yours. 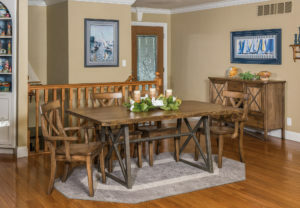 We’re eager to talk with you about your upcoming dining room project. 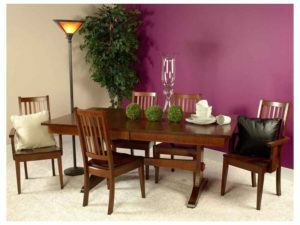 So call or email us today.